Macroinvertebrates are great indicators of water quality. Certain species are very tolerant of degraded water while others like many stoneflies and some mayflies have a low tolerance for poor water quality. The presence of low-tolerance species indicates high water quality and a healthy lotic system. 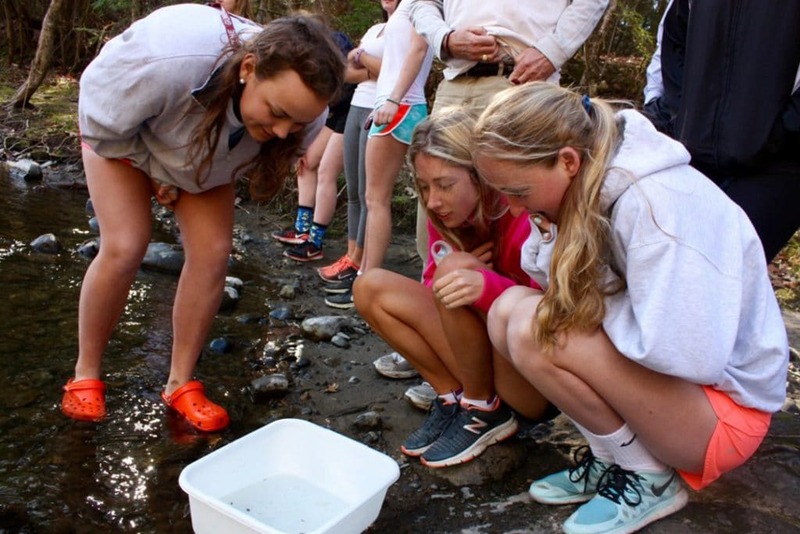 The Riffle Bioassessment by Volunteers (RBV) is a DEEP program that uses data collected by volunteers to document high quality streams throughout the state. Steep Rock Association invites all interested to join us in participation of this program. 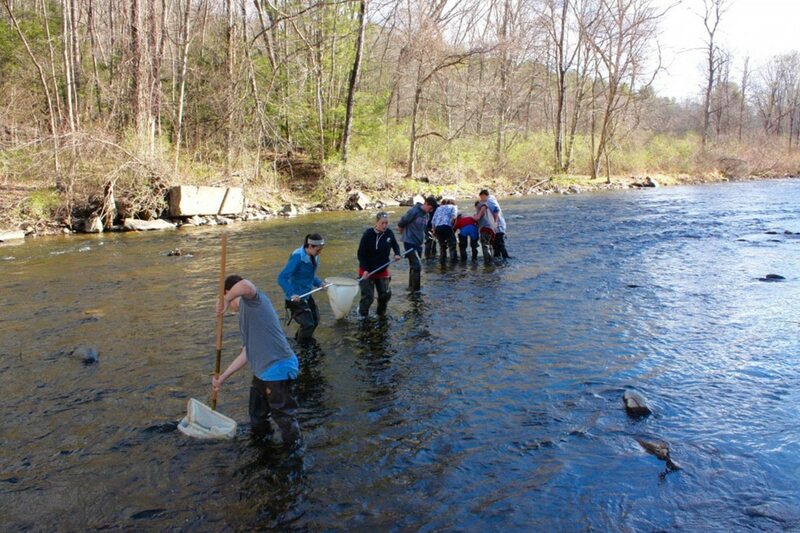 Staff will be leading benthic macroinvertebrate sampling of the Shepaug River and its tributaries this fall to determine the water quality of our streams. This past week about 30 Gunnery students suited up in hip waders for a brief sampling period to see what they could turn up in the Shepaug River. Stoneflies, mayflies, caddisflies, hellgrammites (dobsonfly larvae), crayfish, and even a few small suckers were caught and observed in a collection tub. Giant stoneflies, common stoneflies, body-builder mayflies, and minnow mayflies were low-tolerance species identified…a good indication of unimpaired water in the Shepaug River.